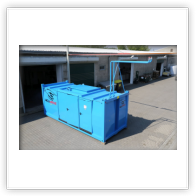 The containers are built according to the German and European safety regulations for highly flammable liquids. Thus, the highest security level is met. 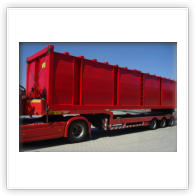 The containers are manufactured exclusively in Germany and tested according to the usual safety regulations. 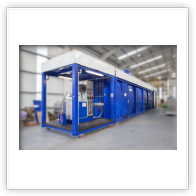 The containers can be used for autonomously operating refueling stations and also as a storage tank for generator stations. 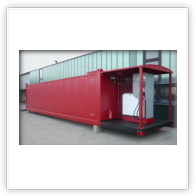 The flexibility of the containers is being reflected by the diverse fields of applications of its use. 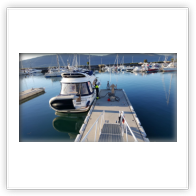 The Mobile Filling Station can be used for refueling of cars, trucks, diesel locomotives, construction or mining machinery as well as for yachts and boats. An upgrade for the use on air fields for helicopters and smaller airplanes is also possible. 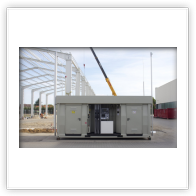 Once empty, the container units can be reinstalled at a different spot without problems and pretty fast. 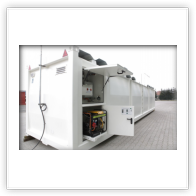 The construction time for a mobile gas station is comparatively short to a conventional one. 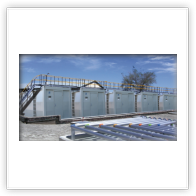 The construction time of a container base as well as an access way with water-fuel separator system takes about a week. The actual mounting of the container on top of its base will take just one day at the most. 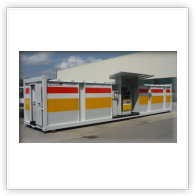 An expansion of the gas station can easily be made by just widening the access way and the container base and by mounting a second container. 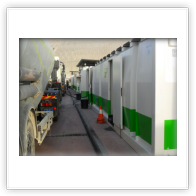 In order to adapt to a change in fuel consumption, the containers can easily be swapped for smaller or bigger ones. 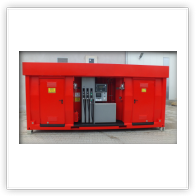 For a general overhaul, the used container is being swapped for a new or an overhauled one. Repairs are being made in our factory. Hence non operational times of the gas station can be limited to just one day. 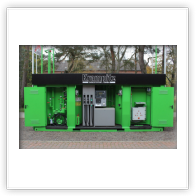 The Portable Gas Station Units are being offered as one or two walled versions as well as 20,000, 40,000 or 60,000 liter volume units. 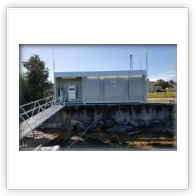 If required additional niches can be build in the tank as well as an office room for personnel. 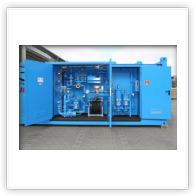 The integration of an additional generator set is also possible. 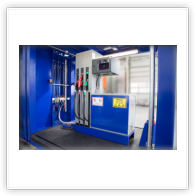 By mounting special equipment like heat insulation, electrical tank heating, filters, pumps and control of the entire installation, a special chemical resistant coating or equipment for easily flammable material or mediums, the containers can be adapted individually to the respective locations as well as to their different usage conditions. 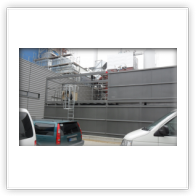 Space division of station double-walled container.